NOTE: It should be noted that it was The Diana who first published about Senator Nelson. I wasn't even paying attention to the issue until The Diana tried to use the senator's political actions to advance Apuron and the Neocats. This morning I received a call from someone whom I will call a close relative of Senator Telena Nelson. He was apparently upset with my mention of her in my recent post and he was gearing up to threaten me when I hung up. First, a note to the senator. You are an elected official. A public person. You are in a position to make laws which affect my life and the lives of others. The citizens which have to live with your decisions have a right and duty to publicly engage you and anyone else in the same position. That's why it's called "public" office. And when you assume such an office, you have to be grown up enough to take what comes with the position. So tell your relatives not to call me. If you don't like what I said, then YOU call me. Let's meet. I'm one of your constituents. So now a note to Ms. Nelson. It's been heavily rumored that you're a neocat, which is probably why The Diana is celebrating you. No matter. We can look beyond that. You did well with your bill. But now will you get on to the other things? Will you address Guam's scandalous divorce laws? The slaughter of Chamorro children in the womb? The avalanche of children born out of wedlock? The horrific record of abuse and neglect which may very well be the cause of our shameful suicide rate? Or will you be like Apuron, using this one foray into the limelight to enshrine your image as a moral crusader while the rest of life on Guam gets blown all to hell? Notice I said YOU DID WELL WITH YOUR BILL. I said this because I believe "machine gambling" does pose a particular problem to any society, not just ours. And in so far as Senator Nelson's bill addresses any sort of gambling where the odds can be fixed by "investors," (which technically makes it not "gambling"), I would support, which is why I said YOU DID WELL WITH YOUR BILL. On the JungleWatch Facebook page, I was attacked by another "friend of Telena" who insisted that I had no right to question her because I didn't know her. Apparently the person doesn't appreciate the meaning of "representative democracy." We do NOT need to know a public person personally, especially one who can make laws, before we are permitted to have an opinion about that person's public acts. As members of society governed by such people we have a right and duty to make our judgments simply on what we SEE these people do. I could care less if any senator is a nice person, a not so nice person, a good person, or a terrible person. Citizens in a representative democracy have the right and duty to judge public officials by what they do or don't do. Senator Nelson has advanced herself to the top of the moral heap with this particular issue. My note expressed a hope that it is not the ONLY issue. We shall see. Meanwhile, I am going to do some research on "harassment." My only regret about this morning's phone call is that I didn't record it. Call me back. I'll be ready. With stats like those, it's easy to see why travel agents avoid booking vacations to Guam. Reportedly, the place is also dirty and expensive. Sounds to me like it's just another South Pacific military dump with the same moral issues that wrecked the Philippines and Okinawa. A sad situation. At one time too (before The Esperansa Project) the abortion clinics advertised Guam as an abortion haven because up until 2008 Guam had the least restrictive abortion regulations in the country. In 2008 The Esperansa Project was formed and after several very difficult fights with the Legislature, some of the same common sense already considered normal in many other states was finally enacted into law. Ted must be the one who is upset. Wow. 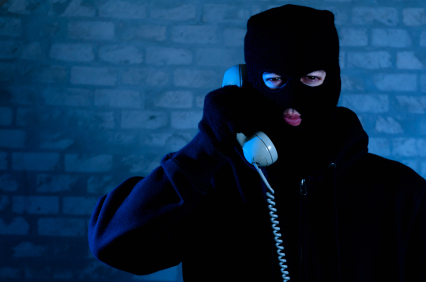 Harassing and threatening phone calls can be considered to be criminal. That sounds like old school politics. It is not a rumour that she walks in the NCW or at least walked in the NCW before she was elected Senator. There should be no issue revealing this fact as it was not a secret, it just never was discussed in public on the campaign trail, even in the heat of the controversy with the NCW during that time. The question is, is she still in community? What is interesting is that we know that the NCW responsibles and catechists "instruct" the lives of their community members. Also, in knowing that Pius conducts their lives with his "instructions," I am curious to know, how deep would Pius' influence be on her if she was still walking in the way? Yeah, I would have taken Pius to be a real fixated gambler. Wass up, Telena? The argument about not being able to comment on this senator is eerily similar to the arguments we got 4years ago, about not being able to talk about the neos because we didn't walk in the way. This kind of infantile attitude is very revealing of the total lack of democratic concept some people have. She is a one term senator. She should just resign if she can't take public criticism.